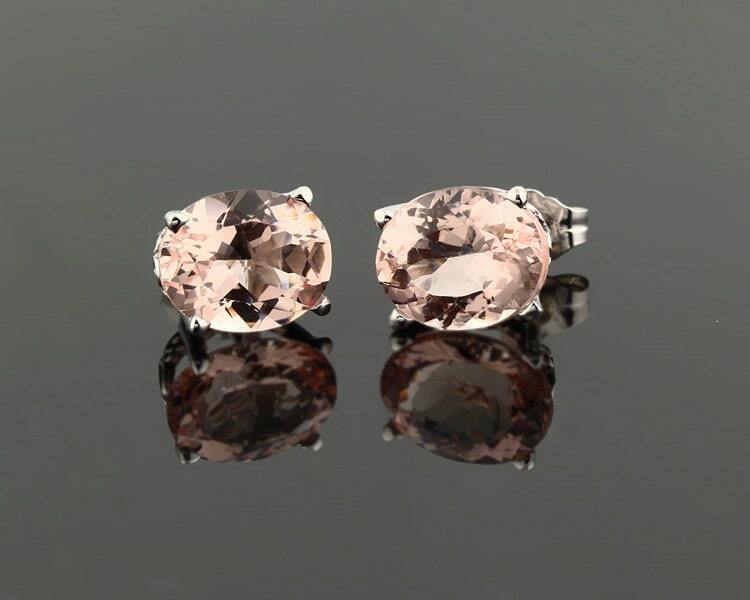 A stunning pair of natural Morganite gemstone stud earrings set in 14K white Gold Scroll settings. 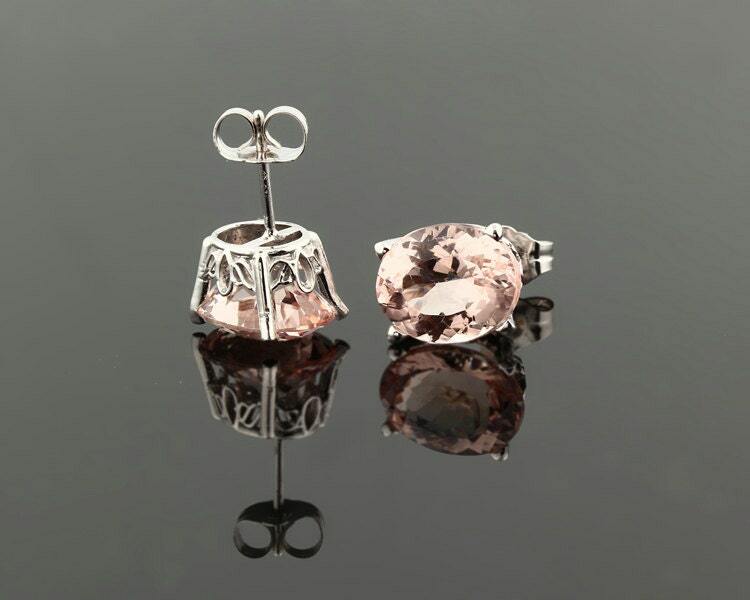 The stones measure Approximate 8 x6 mm in diameter and 2.50 ct total weight for the pair. MATERIAL....... 14k white Gold . These stud earrings are EXACTLY what I wanted. 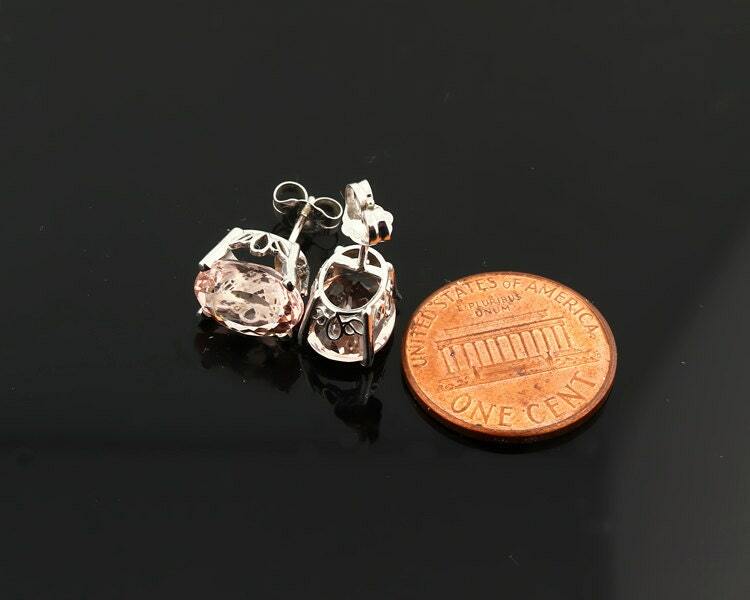 I was pleased with the price, but especially happy with the quality and detail in these earrings. The scroll setting is beautiful. The shipping and packaging was perfect. I will definitely do business with this seller again!